The usual colors used for a bedroom is black and white, neutral colors like beige, bold colors like red, pastel colors like pink and others. Seldom can you see rooms that are lime green. 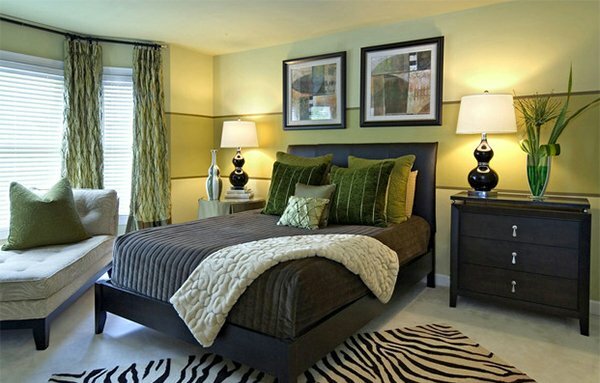 Some bedrooms use lime green in the bed covers, as a wall accent, in decorations, window treatments, and others. So, if you want to have a bedroom room with lime green, you would certainly love the list we have today for we will feature bedrooms with that color! Lime green is vibrant and lively. It is coined from a citrus fruit called limes. This color comes in between yellow and green and stunningly bright because it is closer to yellow. You can play with colors in combining it with lime green. Take a look at the bedrooms below which used pink, blue and other colors to go with it. The wallpaper from the company Eijjfinger added zest to this lime green bedroom. We love the colors in this bedroom! The combination of lime green and sky blue is indeed dashing! A lime green wall made a huge difference to this contemporary bedroom. The headboard paired with the comforter set in damask black and white created a stunning statement in the room. Chocolate, turquoise and lime green were combined for this bedroom designed for a girl. We love this bedroom! Look at all the greens in this room and some touches of lime green in it. You would certainly feel like you are relaxing on a bed of fresh grasses! 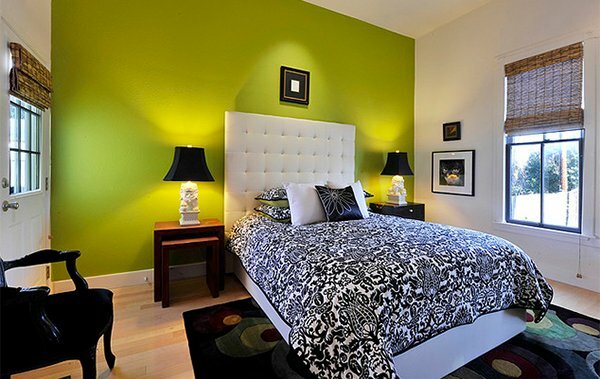 The color of the walls matched well with the lime green accents in this bedroom. The headboard of the bed sure is lovely too. The seating area in the window is a good way to save space. Yet, the choice of lime green and other green shades in this bedroom paired with yellows and whites made this room look lively! The lime green walls and accents allowed the pinks in it to pop! We do love the headboard of this bed too! 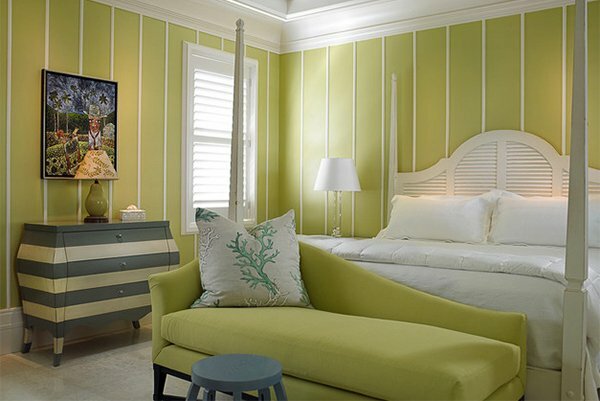 Another bedroom from the Beach House Bridgehampton which also has lime green accents in it matched with yellow. One good way to treat a wall is to add some framed photographs in it. This one has black and white photos framed in same color too. The lime green walls looked pretty with the dark blue covers and chairs. 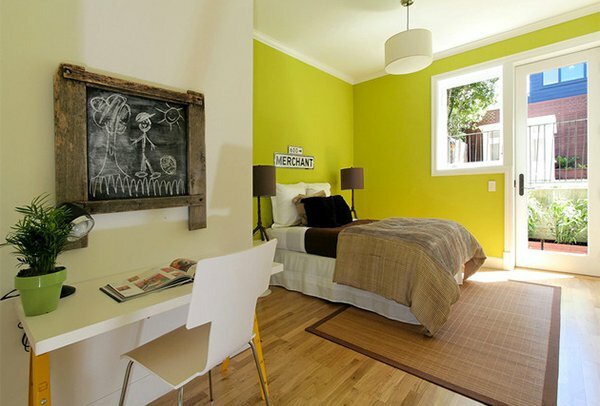 An awesomely serene bedroom with lime green accents in it. Other hues of green were also scattered everywhere in the room. And hey, we love that sunburst wall decor! 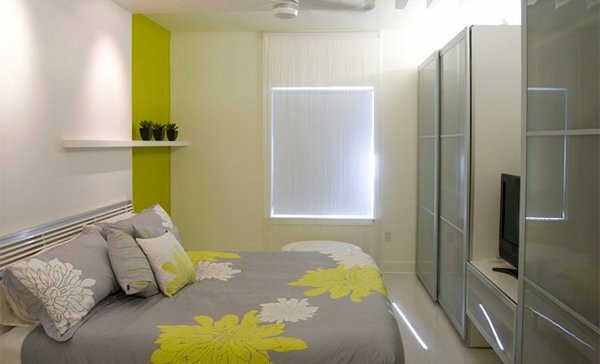 A small space looked spacious with the use of white, gray and some accents of lime green in it. A vibrant combination of lime, turquoise and kiwi made this room look so vibrant and lively! No doubt, this bedroom is calming with creative wall treatment and the right bedding combined with a stylish area rug. A modern bedroom that we’d guess is for a boy. It has a lime green accent wall that certainly brought this bedroom to life! Lime green is love! Well, we sure had lovely collections of bedrooms which might even confused you on which one you could try for your bedroom. But make sure that you will be able to pick the right colors. You have to start with the fabric first before the painting because paint can be easily picked than the fabric. 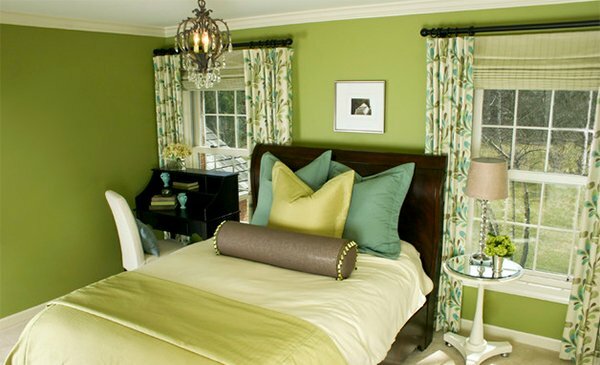 If you want more bedrooms with shades of green, head over to green bedroom designs. If you want a different color for the motif of your bedroom, don’t forget to check out other bedroom design inspirations we have for you.